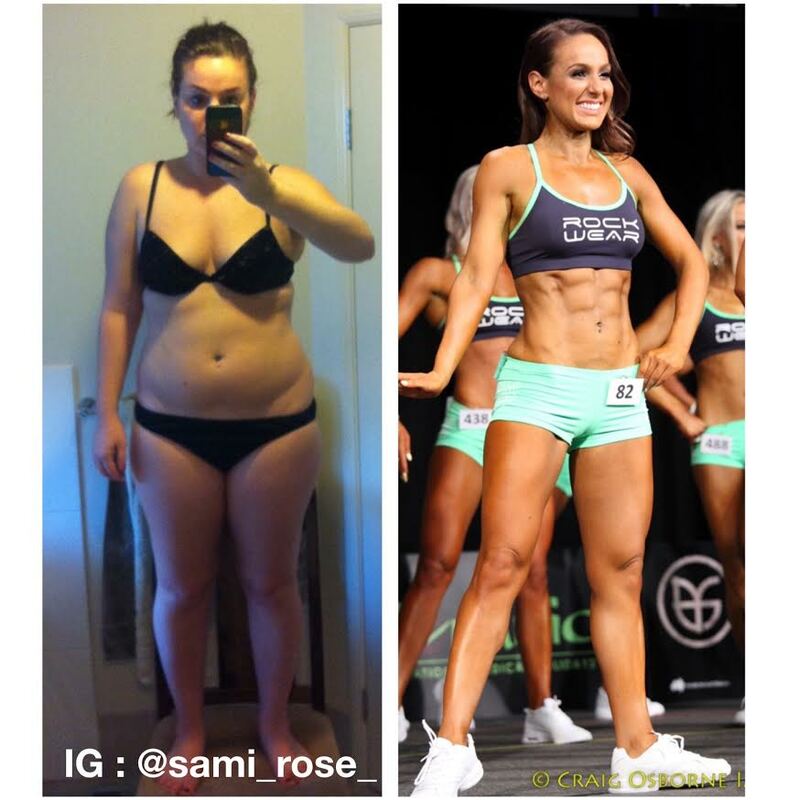 Sami Imbriano’s Incredible 50b Weight Loss Journey To The Stage! Dinner: Meat and vegetables, herbal tea, and berries if I am craving something sweet! 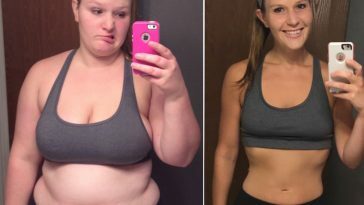 How Did You Originally Gain The Weight? I’m an emotional eater, and I absolutely LOVE food, so a few years ago after gaining weight during a long, unhappy relationship, which then ended with a messy breakup, my weight peaked at its highest of 75kg’s. 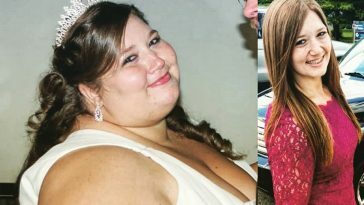 I turned to food to cheer myself up and didn’t have the enthusiasm to get myself to the gym or get active, so I was overweight, unfit, and just generally unhappy! I’m not sure of exactly what caused my “lightbulb moment” but one day I was just looking through some Facebook photos, cringing at how I looked and felt, and knew I had to make a change if I wanted to feel any differently about myself. I committed to starting with eating better, so I learned a bit more about the clean eating lifestyle and found it worked really well for me and was easy to stick to. I slowly started going to the gym more, initially adding on some group fitness classes, and eventually seeing a PT and integrating heavy weight training into my program. A few years later and I am absolutely hooked on gym life, love getting active both indoors and outdoors, and genuinely enjoy eating healthily- so much so that I now work for a large Australian active-wear brand, take group fitness classes and boot-camps part time, as well as mentoring a range of online clients as a Personal Trainer, where I offer customized training programs and nutrition guidelines. I guess you can say that fitness has definitely taken over every aspect of my life! It only took about four weeks for me to notice a significant difference in my appearance, as well as just generally feeling better (less bloated, more energy) from improving the quality of the food I was eating. During my competition prep I saw changes almost weekly, as I leaned down I found I could notice a lot more muscle definition, especially in my mid section! What Was It Like Competing On Stage? Amazing! Growing up competing in dancing competitions I naturally feel right at home up on stage, it’s definitely the highlight of the entire process for me! The confidence that has come with my transformation definitely shone through, and those few minutes of stage time were well worth all the work leading up to comp day. Every time I get off stage my face hurts from smiling so much! Your Abs Are Incredible! What Are You Favourite Ab Exercises? Why thank you! I’m quite lucky that abs are in my DNA (my mum was an aerobics instructor in the 80’s and had a rockin’ 6 pack even after having me!) so I build muscle in my core very easily. The most common exercises I do for abs are weighted side bends holding a 10kg weight plate to work those obliques, as well as Russian twists holding a heavy dumbbell. I find that combining HIIT with my ab workouts are most effective for me so I’ll alternate between skipping/sprints and my ab exercises, to keep that heart rate up! Honestly, it was a challenge at times. Having a looming deadline definitely added a level of drive for me, but there were days that I really wanted a break from training, or just wanted to eat some bacon & eggs on toast instead of my comp-prep meals and sometimes I did just that! I found that if I stuck to my diet the majority of the time, I could manage to be slightly more relaxed on occasion – it kept me from going crazy living off chicken & greens 24/7! It was also really helpful for me to have a great support system around me with friends and family being understanding of my goals, never making me feel bad if I had to BYO my comp prep meals or skip that piece of birthday cake! Chicken Pesto! My go-to during comp prep, it’s even boyfriend-approved! I recommend this pesto sauce to most of my clients as a great healthy way to add some life to any meat & veg meal! Stay focused on moving forward! Don’t let minor setbacks get in your way, set a goal, work towards it, and don’t give up until you reach it! So many times I felt guilty and defeated if I ate junk food, or skipped the gym, but I’ve learned now to not dwell on that and instead use it as a chance to refresh and get right back on that wagon with even more determination to succeed! 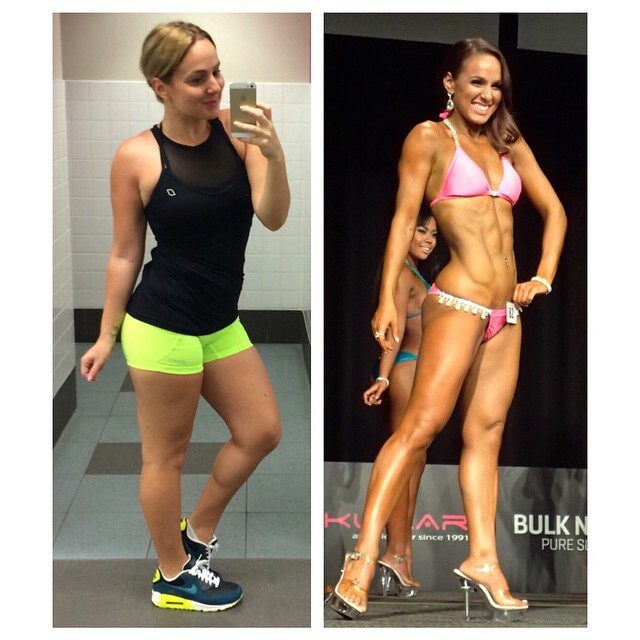 How Do You Feel After Completing Such An Amazing Transformation? A little surprised, really! The thought of having a 6 pack and winning two trophies at my very first fitness competition never even crossed my mind a few years ago, I just wanted to be happy, healthy, and comfortable in my body. But I feel absolutely thrilled that I put in the effort and achieved things I didn’t even know I was capable of! 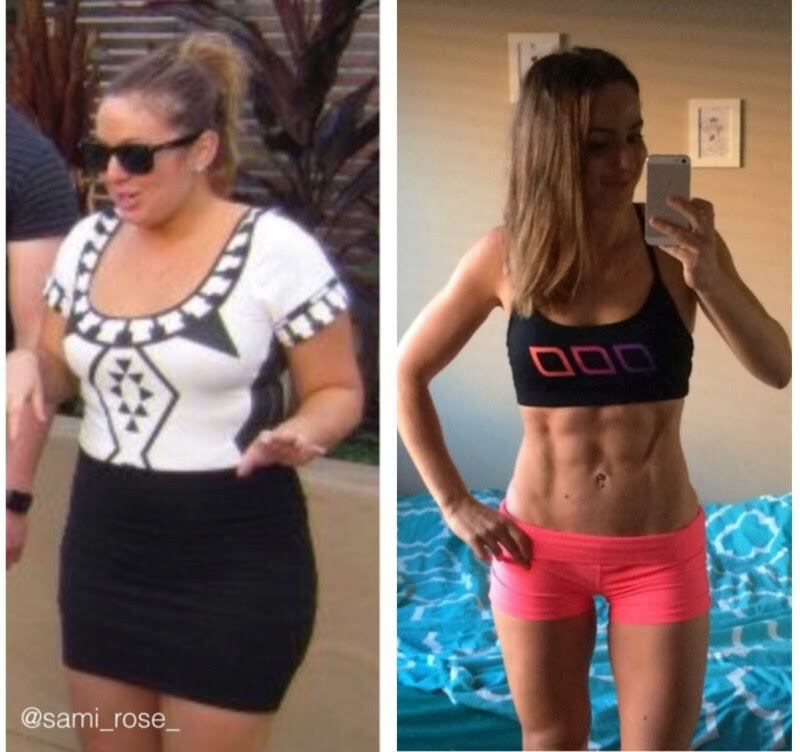 Previous article 74 Inspiring Fitness Girls With Ripped Abs You Need To See! 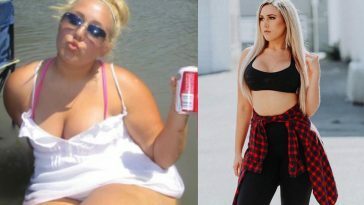 Next article 80 Weight Loss Transformations From Instagram That You Need To See!